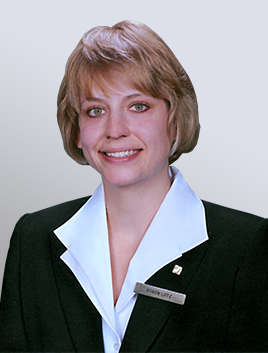 We opened our funeral home in 1996 to serve the families of Akron and the surrounding communities. 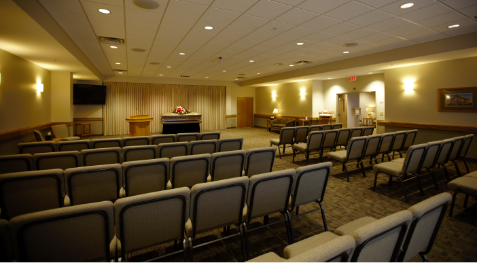 Our funeral home was designed with you in mind, with two spacious chapels for funeral and memorial ceremonies, a variety of tastefully appointed rooms for family and visitors to gather, and a large, well-lit parking area. A funeral or memorial ceremony is a special time to honor your loved one. Many families find that the gathering time before and after services is just as important. Being able to relax with family and friends, catching up and receiving comfort is crucial after the busy days of planning services and making arrangements. 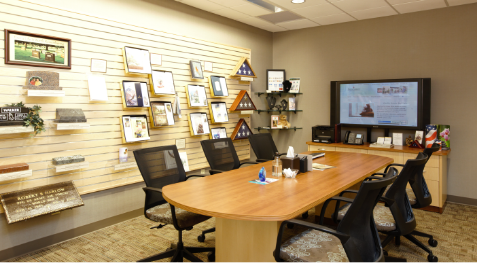 At our funeral home, we have space for you to gather with family and guests and enjoy refreshments before or after a service. We offer several catering packages for your convenience, or you can make your own arrangements. Learn more about reception options here.